Today I want to show you the Haunted House I made. I wanted to Showcase that you are able to use your digital stamps in different ways. I used Shope and Talk Vicky, Buttons The Clown, Ghillie the Ghost, and Pumpkin Dumpling. You can use different Digital Stamps from all the sets to decorate your fun projects. Just be creative!!!! 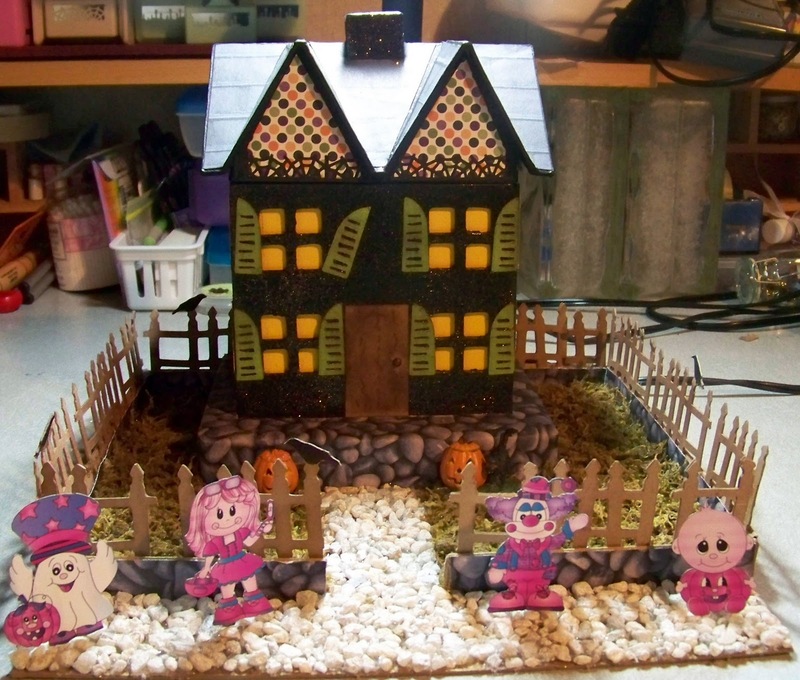 I'll try to have the tutorial up first of next week on how to make your Haunted House.